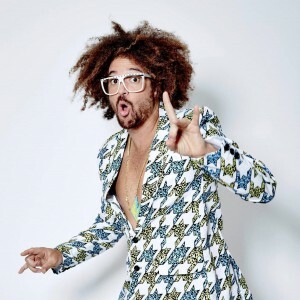 Love him or loathe him, you’ve at least got to admire Redfoo for his persistence. The performer and (if rumours prove to be true) ex ‘X Factor’ judge keeps plugging away at his music career. Though his latest release, ‘Juicy Wiggle’, hasn’t quite hit the same heights as his top five singles ‘New Thang’ and ‘Let’s Get Ridiculous’ – the latter a No.1 smash. Are we beginning to tire? As mentioned previously, we’re assuming the creators of Dolly Parton’s ‘9 To 5’ are already onto this for its opening few bars. It’s got that doo-wop vibe that’s working so well for Meghan Trainor right now, but whereas Meghan works it vocally, Foo’s style is more just to yell over everything. It also appears that he’s stuck in the belief that if it ain’t broke, don’t fix it. Production values, however, are pretty strong. auspOp next time the name Redfoo pops up just pass it up. If you pay attention it won’t go away.